By the age of 15 years old my love for fashion was just beginning. Back then, a ghastly algae-green uniform dominated my weekly wardrobe but I remember the buzz that swept through the classrooms in the weeks prior to a fundraising ‘Mufti Day.’ Girls would plan their non-uniform outfits by what felt like months in advance, and each time there would be a clear winning trend of the day. One year it was waistcoats, another year – for some inexplicable reason – it was vest tops layered over a t-shirt of a contrasting colour. Guilty as charged. In 2007, however, things went ‘designer’ and you weren’t cool unless your skinny jeans were emblazoned with a small white dove – the signature logo for Kate Moss’s collaboration collection with Topshop. Since then I’ve become more and more aware of similar celebrity/designer-high street collaborations. In fact, it’s hard not to notice them when new ones are being announced by the week. Only this morning Isabel Marant’s collection for H&M went live after a long period of sweet anticipation. I must admit that I’m more than a little infatuated with such collections. Back in 2009, I made a special trip to White City and queued for 4 hours – yes, 4 long hours! – to get my hands on a pair of beautiful Jimmy Choos by H&M. CRAZY, I know. When the store opened I was shocked at how my fellow, previously quite civil and polite queue members quickly morphed into savages – fighting, elbowing, practically tearing out each-others hair to get to the best pieces. Suddenly I found myself standing in a real life re-enactment of that scene from Friends with the bridal sample sale. It was absolutely insane. Amateur entrepreneurs elbowed their way through and grabbed as much as possible, quite obviously with the intention of putting the lot up on eBay as soon as they got home. Young, inexperienced and completely overwhelmed by it all, I was immediately lost in the crowd. It was only by a stroke of miraculous luck that I managed to walk out the store with the star shoe of the collection – an almost-forgotten pair that were left on the mannequin. My months of saving hadn’t gone to waste! Jimmy Choo for H&M Ad Campaign – I managed to bag the studded beauties on the far right! Thankfully with today’s technology and the ease of internet shopping you can sit in the queue for these collections from the comfort of your own home. However, I’m the first to admit that even this can prove difficult. The internet traffic for the online release of the Versace for H&M collection was absolute bedlam – I know because I was stuck in it, tooting my horn loudly. Yet despite all the mania, if you are lucky enough to get your hands on a piece from a designer/high-street collaboration, you know it will be worth it. Importantly, these high(ish) end goods can offer you the kind of long-term commitment that you’ve been longing for. With the modern trend for throwaway fashion, our relationships to high street clothes have become more like one-night stands and I for one am sick to death of investing in jumpers/dresses/skirts that fall apart in my hands only days down the line. It seems that you lot agree with me too. Reports have shown that since the recession more of us are willing to justify a higher price tag in exchange for genuine quality and thoughtful, practical design. As a result of this change in consumer conscience many low-end, low-quality brands – such as Jane Norman and Peacocks – have suffered to the point of being sent into administration. Of course, this isn’t to suggest that the high-end designers aren’t feeling the pinch of the recession down their end of the retail spectrum too. The fashion industry as a whole has suffered as shoppers are becoming more self-aware of their spending habits and this is where celebrity/high-street collaborations provide the perfect middle ground platform. The successes of these business ventures can be seen reflected in their recent proliferation: there’s been Mary Katrantzou for Topshop, Karl Lagerfield for H&M, Rihanna for River Island, Rosie Huntington-Whitely for Autograph at Mark and Spencer, practically everyone for Debenhams – the list goes on. These collections are finally making high fashion accessible to the little people. 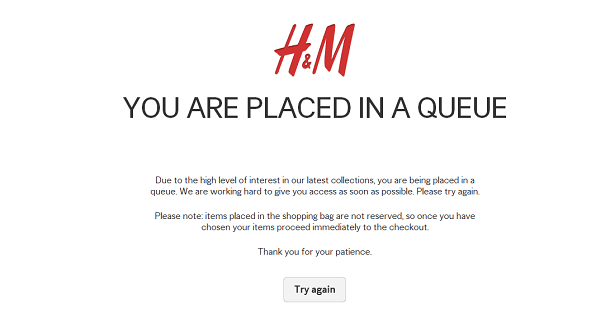 Get your taste of the action with Isabel Marant’s collection for H&M, that is, if you have the patience to join the online queue. Rumours are also taking me back to where it all began – Kate Moss is set to release a new collection for Topshop in April: watch this space. Isabel Marant’s Collection for H&M which launches today.